Master storyteller, Gladwell has an incomparable gift for making big ideas understandable and accessible. He is one of the world’s most celebrated thinkers and author. 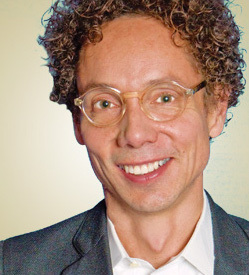 Malcolm Gladwell is the author of five New York Times bestsellers — The Tipping Point, Blink, Outliers, What the Dog Saw, and now, his latest, David and Goliath: Underdogs, Misfits and the Art of Battling Giants. He has been named one of the 100 most influential people by TIME magazine and one of the Foreign Policy’s Top Global Thinkers.